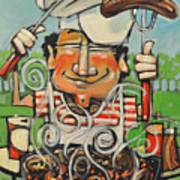 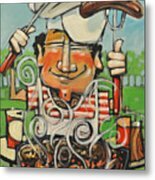 King Of The Grill is a painting by Tim Nyberg which was uploaded on October 5th, 2010. 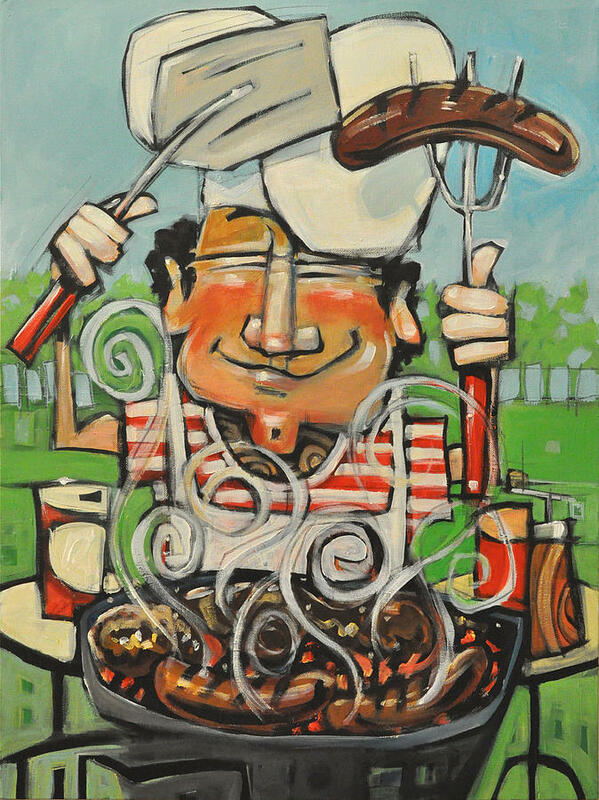 "King of the Grill" is another of my chefs series - a tribute to the backyard, weekend grill master, singed eyebrows, overdone burgers and massive beer consumption. 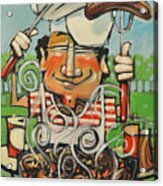 I'm lookin' forward to doin' this exact thang later today. Great painting. Peace, O.